As you may have noticed, I haven’t updated my blog in quite awhile. Things have been a little busy on my end. 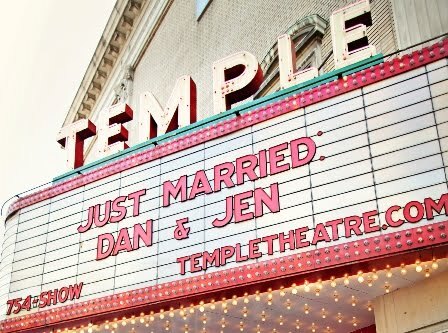 My wife Jen and I got married on June 12th in Saginaw, Michigan at the Anderson Enrichment Center and had our reception at the beautiful Temple Theatre. The love and support from our family and friends has been amazing. After the wedding, we headed to Costa Rica for our honeymoon and it was one of the best vacations we've been on. The land, culture and people there are simply amazing and we definitely have plans to go back in the future. We traveled all around the west coast zip lining, sailing, snorkeling and indulging in guacamole, pico de gallo and ceviche every chance we got! When we got home from our honeymoon, I hit the ground running with my office Kehres Health & Chiropractic in Saginaw, Mich. Starting a business is never ending work, as many of you know from having done it yourselves. My new Web site is in the works and my beautiful wife Jen is heading up that project along with many other marketing activities while we open the office. Recently we decided on a logo as well! (What do you think?) We're planning to open in the next few months and I’ll be sure to keep you posted as we progress. Life is an amazing journey and there is always something around the corner. I’ve learned many great lessons over the past few months mostly good and a few the hard way. You have to be able to adapt at a moments notice and no matter how much is on your plate, know that you will make it through. To quote one of my wife's favorite sayings, "Don't let the details become bigger than the purpose." Stressing over things you cannot control will not help you reach your purpose. All of these lessons will help bring me to the next stage of my life in regards to my family, my career and my personal journey! Thanks for your support.